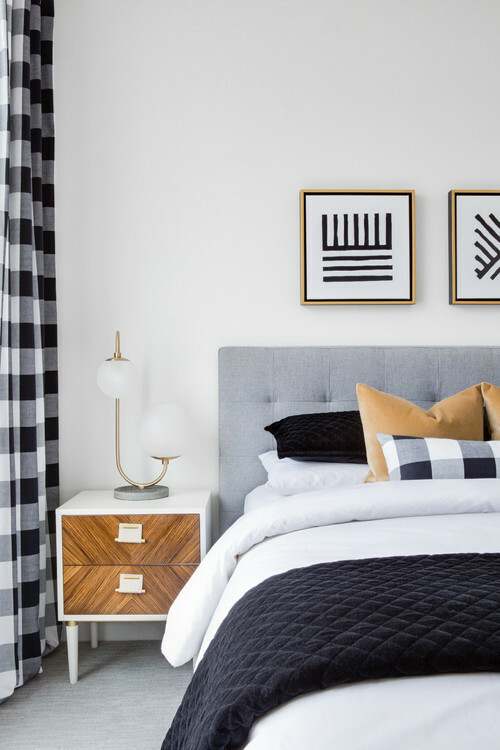 Checkered drapes and matching pillows round out this modern farmhouse bedroom. Plus, the artwork above the bed is an interesting reflection of the checkered decor, without actually being checkered. Love it!